media.ccc.de - Playlist for "Invoices of the future"
Playlist "Invoices of the future"
Speech and little live-demo and live-coding how to use open source command line tools and libraries to add/extract ZUGFeRD/Factur-X metadata to a "dumb" PDF invoice to make it smarter. "Structured" electronic invoices are becoming mandatory for B2G invoices in Europe, in Germany according paper invoices will be abolished in 2020. 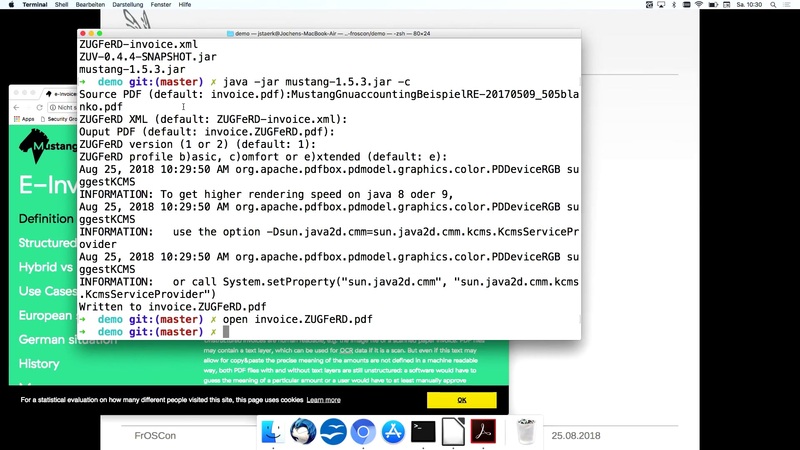 This speech highlights open source libraries and developer tools for the french/german ZUGFeRD/Factur-X standard which embeds a XML file into a PDF making it a hybrid invoice which can be read by humans and automatically parsed.